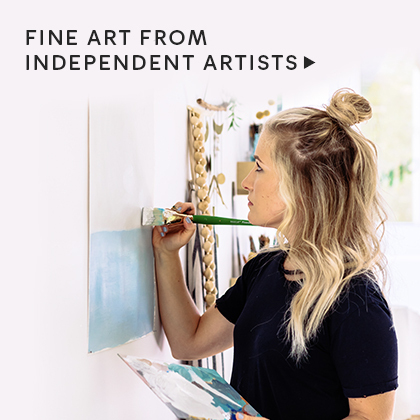 This Mother’s Day show the mother in your life how much you love and appreciate her with a beautiful and unique gift of independent design. 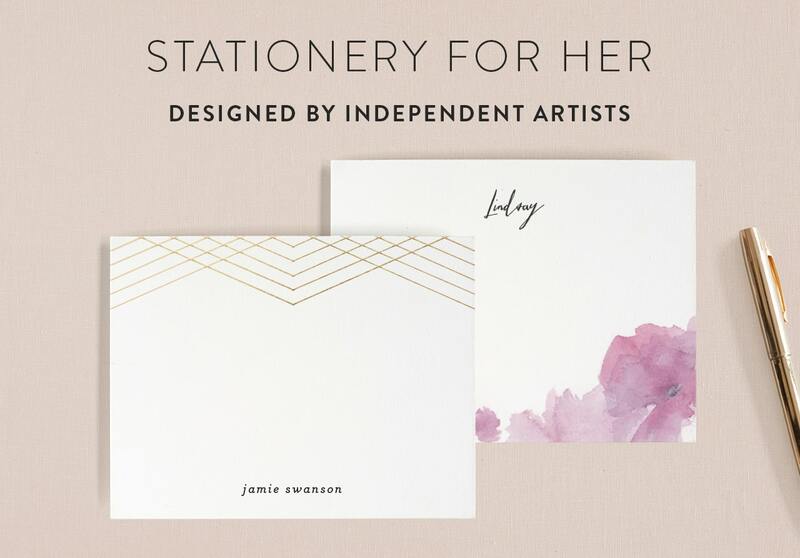 Personalized stationery is the perfect gift for any mom who loves to jot down notes or mail stunning correspondence. Choose from a selection of brilliant colors, style, shapes and flat or folded designs. 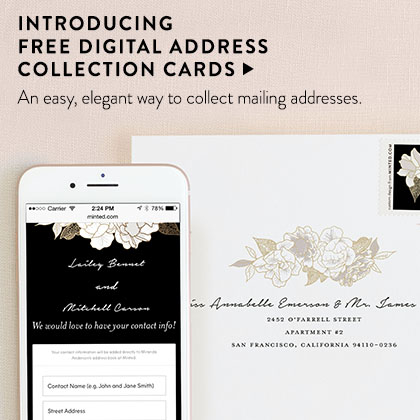 Add your mother’s name or initials to complete the look of her custom note cards. 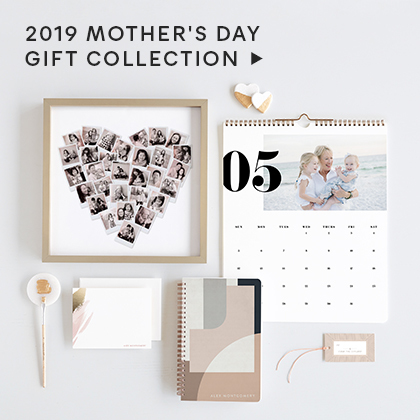 At Minted we also have a stunning collection of non-stationery Mother’s Day gifts that can both compliment your stationery choice, or stand on their own as a beautiful gift. Visit our favorite Mother’s Day gifts to find stunning options and inspiration. From leather accessories for a chic on the go look, to cocktail napkins and custom art we have a style for every mother. Accompany your selection with custom Mother’s Day cards perfect for not only completing your gift, but for sending to all the mothers you know and love. Personalize your lovely sentiment with a photo, or many photos, and a Mother’s Day greeting. 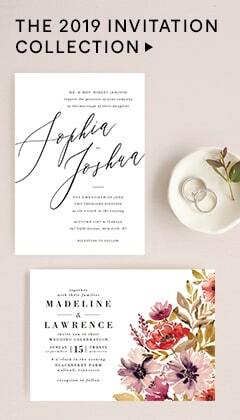 Or select a non-photo stationery design and express your appreciation with the work of a Minted artist. No matter what you select, you cannot go wrong gifting independent design this Mother’s Day.